The original and long standing home of the Spireites, Saltergate stood for 139 years before being demolished for housing whilst Chesterfield FC relocated to the modern surroundings of the Proact Stadium. Officially named the Recreation Ground, Saltergate remained mostly unchanged over the course of its history. Featuring four pylon style floodlights and a wooden main stand designed by famed football ground architect Archibald Leitch, outside toilets and one ticket selling window, Saltergate remained a fans favourite to visit during the demise of the old style grounds in the game. 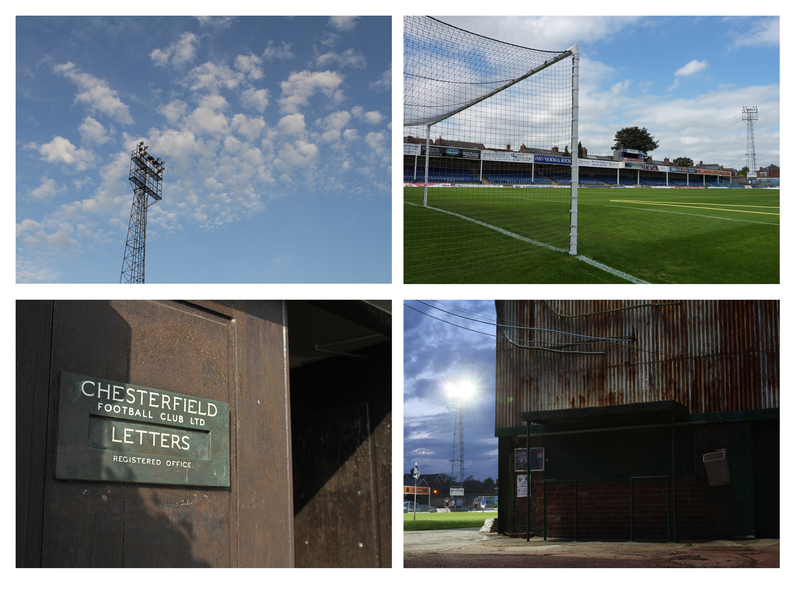 Having experienced the eccentricities of Saltergate and having fallen in love with ground, club photographer Tina Jenner spent many an hour trying to capture its magic so it isn’t forgotten. 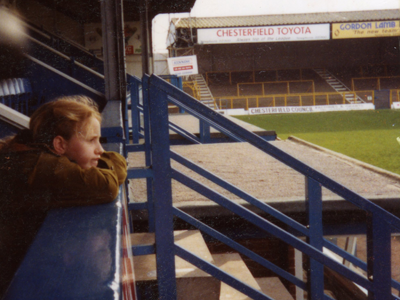 Tina, 1991 | visiting Saltergate whilst on a school trip. Since April 2002, Tina has been the Official Photographer of Chesterfield FC and in 2004 after graduating from Nottingham Trent University’s BA Photography course she setup her own photography and design business. Tina has had her work exhibited several times around the country and has been published in a variety of publications such as the Green ‘Un, Four Four Two, The Mail on Sunday and even RailNews magazine to name just a few. Not content with creating just with a camera, Tina puts her creative skills into design work producing websites, advertising campaigns, promotional material, and much more. So Long Saltergate is her fourth book. 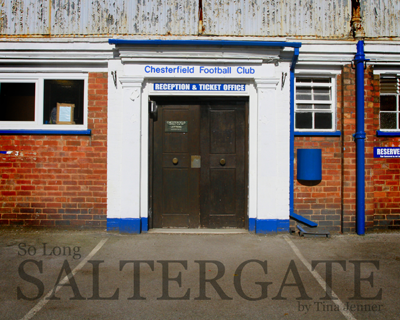 This 110 page hardback photographic book, contains over 200 images that encapsulates the spirit of Saltergate forever. Featuring the images of Club Photographer Tina Jenner, this book serves as a historic reminder of the original home of Chesterfield FC. From the terraces to the changing rooms, the executive suite to the outside toilets, Tina has documented all aspects of the old, lovable ground. With Saltergate now long gone, own a little piece of it forever in one of these delightful prints to hang on your wall. Visit our online PrintShop here. 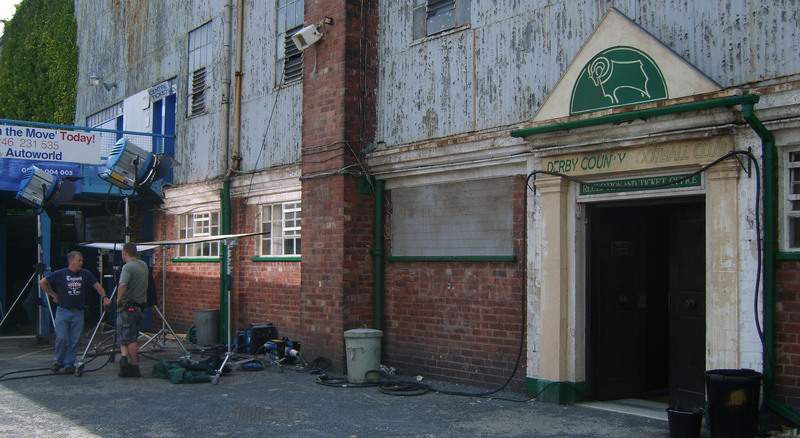 Shot during the off-season in 2008, Tom Hooper’s The Damned United was filmed using locations in Leeds, Derbyshire and Majorca. Saltergate was used for a number of different locations including Derby County’s old Basball ground (demolished in 2003), Wembley Stadium, Carrow Road and Bloomfield Road. It was used because of it’s capability to recreate the old style ground as Saltergate itself hadn’t changed much through the years and especially since the 1970’s when the film is set. Every part of Saltergate was used from the interiors of the wooden clad offices and boardroom to the small car park on St Margaret’s Drive. Tina again spent many an hour at the ground whilst she documented the changes by production staff before filming commenced and then the actual filming days around the set. 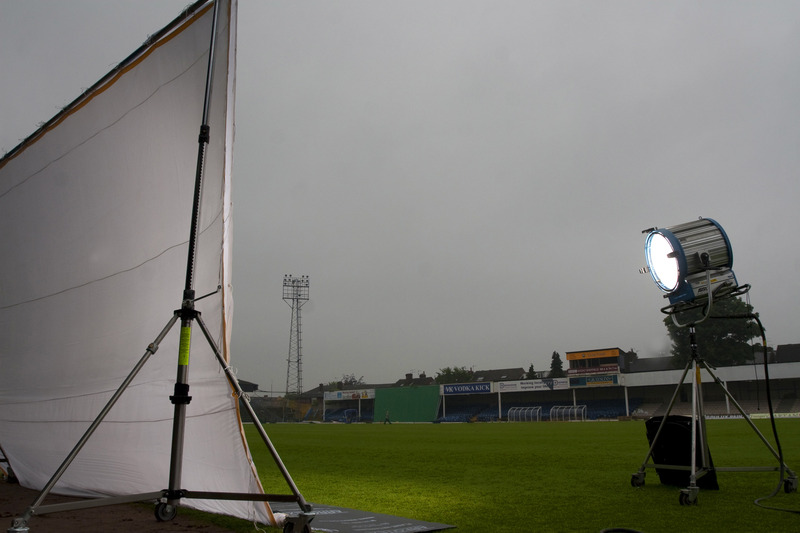 This led to a vast collection of images of the Saltergate film set. © 2019 So Long Saltergate. All rights reserved.